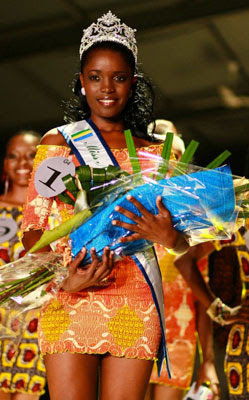 21 year old Marie-Noelle Ada Meyo from Ngouniea was crowned as the new Miss Universe Gabon 2012 which was held at the Meridien Re-Ndama Hotel in Libreville. Divouvi Channa was the 1st run-up and Nyangue Cherolle Boubeya was the 2nd run-up. The reigning Miss Universe 2011, Leila Lopes of Angola attended the pageant as one of the panel of judges. Marie-Noelle Ada Meyo will represent Gabon in the next Miss Universe 2012 contest.